I had the pleasure of photographing this couples wedding in Fallbrook, Ca. So I was more than pleased when I found out they were pregnant with their first child. They came into our studio in Orange County for their professional photos. We had a great time with the couple. 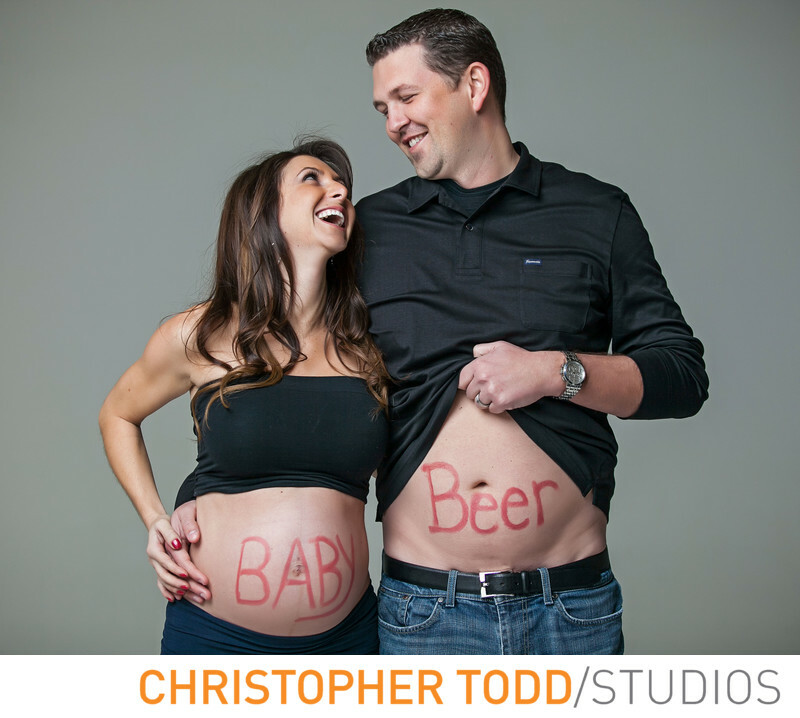 The mom had baby written on her belly in and the dad had beer written on his stomach. The photos were fun, and reflected the couples quirky personalities. It's really easy to get a hold of us. Contact us here. We would love to hear about your family and answer any questions or concerns you have about your pictures. 1/100; f/3.2; ISO 100; 70.0 mm.